D Major Scale Gone Wild! 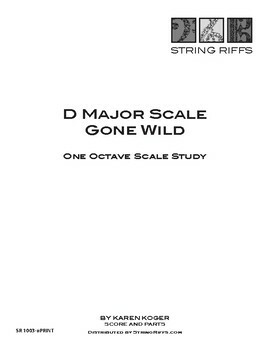 String Riffs D Major Scale Gone Wild! 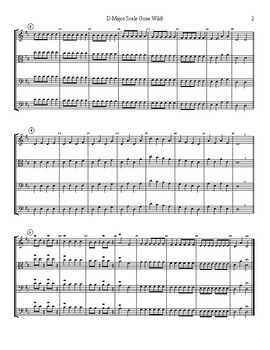 is a One Octave Scale Study useful to orchestras (vln, vla, clo, bss), individuals or studios. Introduce the D Major Scale, Sight Read, or use D Major Scale Gone Wild! as your daily warm-up. Each String Riffs One Octave Scale Study explores rhythm, style, bowing, and the basic scale. Each scale is different to encourage music reading and counting. Also available individually C Major thru 4 sharps and 4 flats, or you may choose to select all 9 scale studies in one download.